Wear your Heather set as the only accessory and let the accent fall on your neckline and ears. Multiple strings of seed beads feature a waterfall of dangling details. Flaming red beads with silver plated inserts. Long pendant earrings. 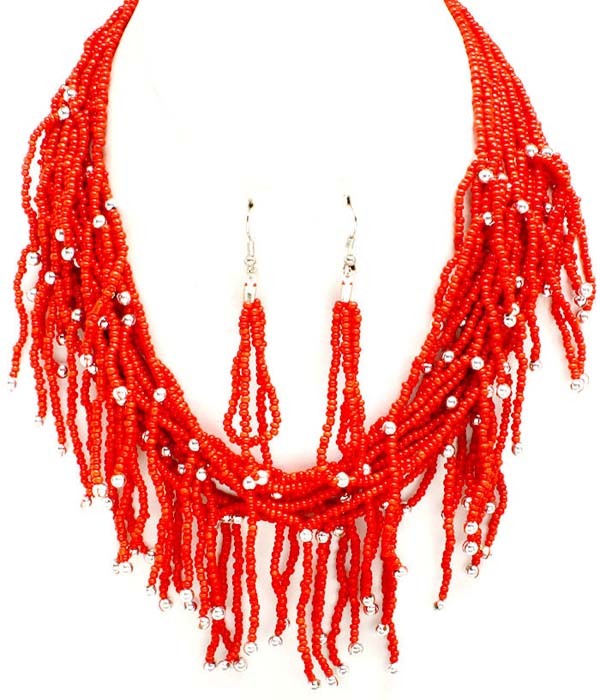 Buy this beautiful beaded necklace and add it to your collection of fashion accessories today.